A custom game made for a Valve's contest. "On this island every year celebrating the Frostivus. But this year, the evil magician has opened a portal from which gushed greevils and the celebration had to be suspended. Greevils stole all presents from the residents and dragged them to their dimension. Residents tried to catch greevils with many unusual traps, but they were smarter and managed to escape. 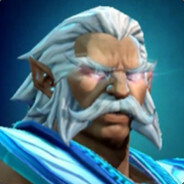 And just now, while the portals are unstable, it is possible to return the Frostivus to inhabitants of the island, taking away gifts from greevils and returning them to the shopkeepers. But only one can be a hero in the battle for the Frostivus." - Solo: 1 player in the team, to win you need to return 25 presents. - Duo: 2 players in the team, to win team need to return 50 presents. - Team: 5 players in the team, to win team need to return 75 presents. To win, players need to collect and return to the shopkeepers a certain number of presents. Presents can be obtain taking away them from greevils, other players, opening treasures and picking up from the ground. - Green increases movespeed, but breaks down with 2 hits. - Blue slightly slows down player movespeed and breaks with 5 hits. - Red slows down player, but can withstand 8 hits. For taking away presents from greevils, you need to keep in mind, that different greevils have different abilities, strengths and weaknesses, so for example a naked greevil will force the player to cast any spell and repeat it on the hero, or on himself if ability effect is positive. Play area is gradually reduced escalate the situation, in the end players will stay in a small circle and be forced to fight for Roshan and presents with each other.